It’s often during the hardest times that you find the greatest inspiration, and this was the case for me in the summer of 1998. My mother had just passed away after a short battle with cancer but the one thing that she left with me was her artistic eye and drive to be creative. I needed something to distract me from my sadness and so my mind went back to an idea that I had 4 years previous to build a guitar. I had been working in St. Louis building Formula One power boats for the Seebold Racing team and there learned the skills of working with carbon fibre along with the knowledge that you could dream big dreams and if you work hard enough they can come true. Somehow the idea came to me that I should build a guitar from carbon fibre but it remained an idea until the summer of 1998 and finally it was time to try to build a guitar. Emerald #1 – Alistair’s first ever attempt at making a guitar, 20 years ago. I made a mould from my acoustic guitar and very crudely fashioned a very poor guitar, but I enjoyed the process and found there was much that could be improved so I built another. It was much better and so I built another. It was during the making of this third guitar that I realised this was the thing I had been looking for all my life, the thing that encompassed all my skills and passion for guitars. I was hooked and there was no turning back. And so started a journey that was tough but rewarding, that has taken me all around the world, has allowed me to meet my heroes and fulfilled dreams I would never even have dared to dream. On May 30th we will celebrate this milestone with a concert featuring some of the best local musicians playing a full line up of our guitars. It will be a night to reflect on how far we have come but also set the stage for the next 20 years as we launch 4 brand new guitar models. 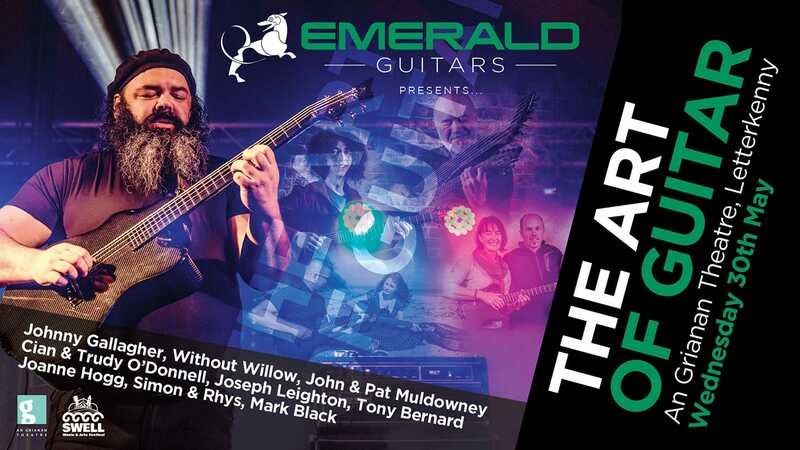 I am so proud of what Emerald Guitars has become and the team of great craftsmen that together build some of the worlds most technologically advanced guitars on a quiet hillside in rural Donegal and ship them to customers all over the world. It’s an unlikely story, but it’s our story!